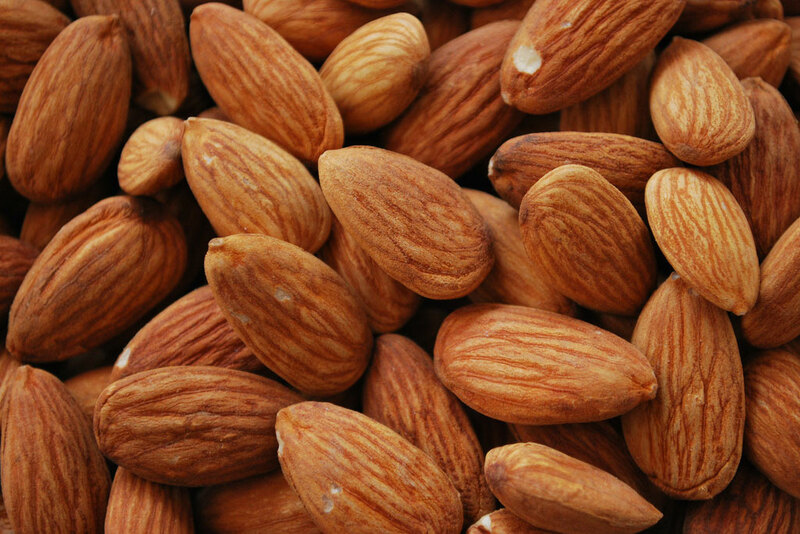 Convey your premium whole almonds, cashews, peanuts, and any other tree nut with confidence. Chain-Vey’s gentle chain-and-puck design won’t break your fragile whole nuts during transport. The Chain-Vey is also known as one of the quietest conveyors available on the market. And with its flexible design and compact footprint, you can be sure that it will fit virtually any configuration. The MPE Chain-Vey also features Clean-In-Place (CIP) capabilities with automated wash cycles for sanitary conveying needs. "Pretty much a 'set it and go' piece of equipment." 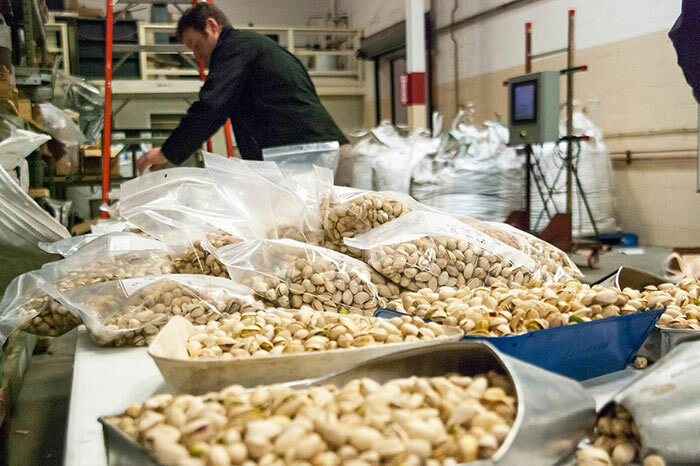 Mechanical damage test data, verified by hand sorting, shows that the Chain-Vey system introduces little or no mechanical damage to both in-shell and kernel pistachios. Test data also shows that mechanical damage after conveying was less than 1% for both in-shell pistachios and kernels. Our tubular drag conveyor can transport almonds, peanuts, walnuts, cashews, and any other kind of nut with zero breakage. 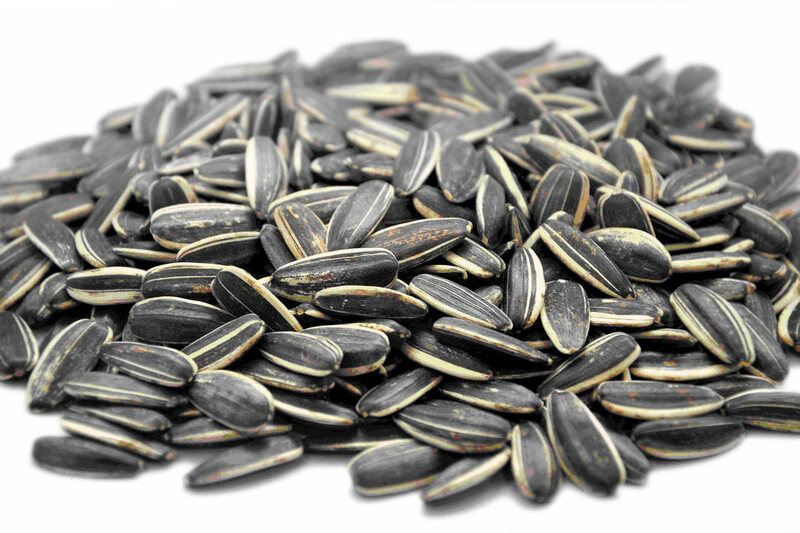 Our tube conveyor can move any kind of seed efficiently and gently without harm or contamination. Raw nuts arriving to a processing facility are transported using Chain-Vey to cleaning, storage, or blanching processes. Tube conveyors can transport raw nuts into a roaster, or transport freshly roasted nuts to packaging, blending, salting, or mixing machines. Chain-Vey tube conveyors can have inline mixers or transport to or away from blenders. Tube conveyors carry nuts to storage mediums such as vats, super sacs, silos, or totes. Or they can carry fragile, freshly whole nuts packaging machines without breaking them. What kinds of nuts can Chain-Vey convey? Chain-Vey will transport all nut varieties and in all stages of processing. Take for example peanuts, where Chain-Vey is currently in use by very large peanut processing plants in the US at all stages. From unloading raw unroasted, to the deshelling, blanching, and roasting. After roasting, fully self-cleaning Chain-Veys that can ensure strict food safety transport are used to move roasted peanuts to packaging or subsequent processing for oil making or peanut butter. Chain-Vey is truly an ideal tubular conveyor for all nut processors. Can Chain-Vey handle in-shell whole walnuts? Yes. In fact, Chain-Vey's low-breakage inlets are perfect for whole walnuts because it reduces the chances of the nuts being pinched between the discs and the inlet walls. The 6" diameter tubular system is ideal for walnuts.